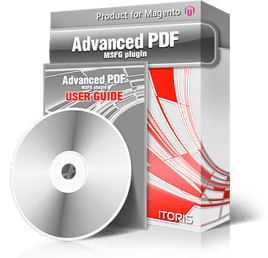 Advanced PDF is a special plugin that will work in compatibility with SmartFormer Gold (Magento Form Builder). Simple table-based export of your forms’ submissions to PDF. All or selected submissions can be exported to PDF, plan text only, in the table. Ability to create and style a good-looking PDF output, include any texts, images, decorations, pull submissions’ data to the PDF. As a result you will get a ready PDF contact, agreement, commercial proposal, etc. - generated when your forms are submitted. This output can be attached to admin’s and/or customers’ emails, you can also provide ability for your customers to get the PDF output and save it directly after they have submitted a form.